They use words such as Love and Family but I hear hate and anger in their tone. These people scare me. I started a new category named ‘creepy’ for them. Lou Engle is an Advisor to Sarah Palin, by the way. Despite impassioned opposition from science experts, teachers and some clergy, Clay County School Board members unanimously resolved Tuesday night that evolution should be presented as a theory, and not fact, in the classroom. The Baker County, Florida, School Board approved a similar resolution a month ago. The Florida State Board of Education is scheduled to vote Feb. 19th on proposed changes to state science standards. Creationists will likely continue their campaign that evolution is “just a theory”, and as such should not be presented as fact. Their argument is that unless a theory has been “proved”, it is no more valid than any other theory. They don’t realize – or choose not to acknowledge – that most theories in science have not been “proved”, and it’s not the purpose of science to provide dogmatic proof of anything. Scientists will likely continue to get worked up and make compelling logical arguments that will go right over the Creationists’ heads. They’ll not accept that appeals to logic don’t work on those who have abandoned logic for faith. 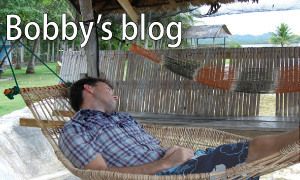 Here are some links if you’d like to read more. A majority of the Pinellas County, Florida, School Board supports the inclusion of Intelligent Design in the science curriculum, reports the St. Petersburg Times. 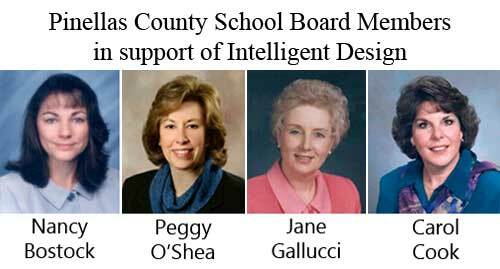 Four members of the school board, including the chairperson and vice-chairperson, have made statements in support of Intelligent Design. I suggest we contact the school board and let them know there are more than two theories of our origins. Pastafarianism is built on similar tenets as Intelligent Design, and has much greater support from the academic community. If you decide to write, please be respectful. The Ledger reports that the majority of Polk County, Florida, School Board members support teaching Intelligent Design in addition to evolution in public schools. It’s unclear if they’re prepared to change the definition of science. 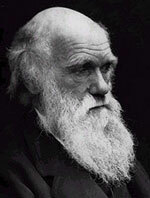 Some people are concerned that a supernatural theory will not mesh with the study of the natural world. Board member Kay Fields said last week she wants intelligent design, which is promoted by some Christian groups, taught in science classes in addition to evolution. The board’s majority opinion is at odds with many in Florida’s scientific community who strongly support the new, more rigorous science standards, and say intelligent design lacks scientific credibility. “My tendency would be to have both sides shared with students since neither side can be proven,” [School Board Member] Tim Harris said. Pastafarians are concerned that the Polk County School Board is endorsing Intelligent Design, but ignoring our theory, even though it is widely endorsed by the scientific community. 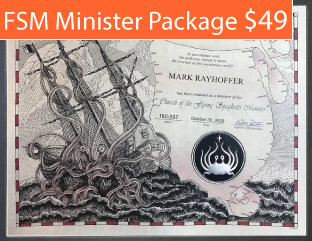 I will wager that the Church of the Flying Spaghetti Monster can produce more academic endorsements for our theory than Intelligent Design proponents can for theirs. 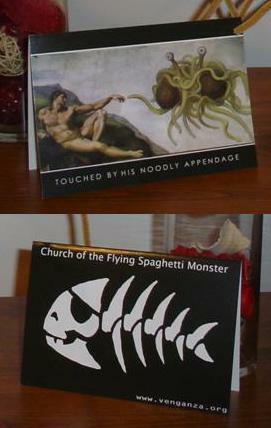 My guess is that the Polk County School Board is just unaware of Pastafarianism. As a public service, I propose that we contact them, and let them know that there are other supernatural theories just as valid as Intelligent Design, primarily ours. You can use this link to email all 7 School board members. Please be respectful – remember we are not criticizing their beliefs, merely pointing out that there is another, just as legitimate, theory that should be included into the curriculum. Please leave a comment and tell us about your conversations with the School Board. Thank you! The Ledger article can be found here. *update* 12/11/07 – Their local newspaper published a story about our campaign here. 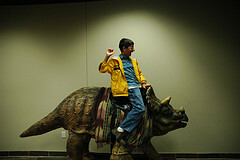 Author and blogger John Scalzi has posted an amusing report of his visit to the Creation Museum. Some time ago he said that he’d visit the museum, which was built near his home, on the condition that his readers donated $250, with the added incentive that any extra money would be given to Americans United for the Separation of Church and State. His readers came through and donated over $5000. So he went, took a bunch of pictures, and posted a very thorough report. Imagine, if you will, a load of horseshit. And we’re not talking just your average load of horseshit; no, we’re talking colossal load of horsehit. An epic load of horseshit. The kind of load of horseshit that has accreted over decades and has developed its own sort of ecosystem, from the flyblown chunks at the perimeter, down into the heated and decomposing center, generating explosive levels of methane as bacteria feast merrily on vintage, liquified crap. This is a Herculean load of horseshit, friends, the likes of which has not been seen since the days of Augeas. You can read his entire report here. 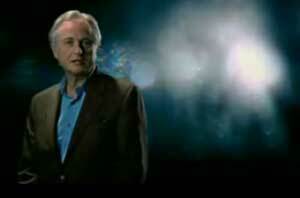 NOVA’s most recent program is about the Intelligent Design debate over the last few years. They’ve put together an excellent companion website, and as of November 16th, you can watch the entire program online – I highly recommend it. NOVA always does a fantastic job on their programs and this is no exception. 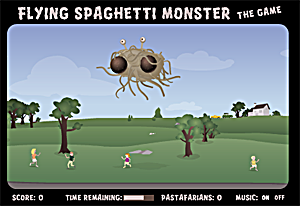 My one criticism is that they neglected to mention the Church of the Flying Spaghetti Monster’s role in the Intelligent Design vs Science debate. Richard Dawkins has a new TV series about the rise of superstition and pseudoscience, and you can watch the first episode online here. It’s pretty good. 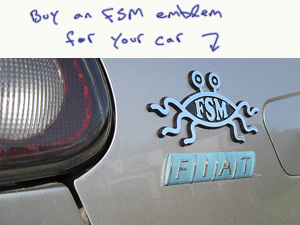 Also, I would like to note that about 6 months ago I sent professor Dawkins an FSM emblem, and he never wrote back. I can only assume that he was so taken aback by the gesture that he couldn’t find the words to respond. I’m still waiting, professor. The Government is clear that creationism and intelligent design are not part of the science National Curriculum programmes of study and should not be taught as science. This is a very interesting discussion on the subject of Intelligent Design by Brown University’s Kenneth Miller. It’s just under two hours long, and if you have the time I highly recommend watching it. There is even a mention of Pastafarianism at around 90 minutes. 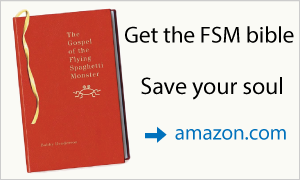 Casey Luskin of the Discovery Institute‘s Evolution News & Views has posted an article on the Church of the Flying Spaghetti Monster’s treatment of the Christmas holiday. I disagree with most of what he’s saying – we are no more mocking Christian beliefs than Christians are mocking ours – but it’s an interesting read.